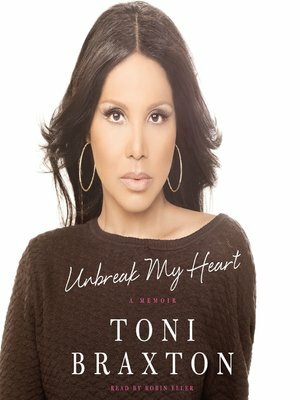 In this heartfelt memoir, six-time Grammy Award-winning artist and star of WE TV's reality hitBraxton Family Values, Toni Braxton writes about her personal life decisions and their impact on her health, family and career. While Braxton appears to be living a gilded life—selling 60 million records, appearing in sold-out Las Vegas performances and hit shows like Dancing with the Stars, and starring in her own reality series—hers is in fact a tumultuous story, a tale of triumph over a life filled with obstacles, including two bankruptcy filings. The mother of an autistic child, Braxton long feared that her son's condition might be karmic retribution for earlier life choices, some of which will shock fans. But when heart ailments began plaguing her at the age of 41 and she was diagnosed with Lupus, Braxton knew she had to move beyond the self-recrimination and take charge of her own healing. Intensely honest and deeply inspirational, Unbreak My Heart is the never-before-told story of the measures Braxton took to make herself and her family whole again.